China has already stepped beyond the initial stage of development and entered a new stage of growth. In this new stage, the characteristics of Chinese development as well as the problems and challenges to be addressed have changed profoundly. Such issues as increasing labor costs, decreasing return on investments, export challenges, evolving labor supply and demand dynamics, accelerated population aging, growing natural resources scarcity and environmental degradation, weak domestic consumption, and so forth, have presented obstacles to the sustainable development of society and economy. At the same time, great changes have taken place in terms of the international environment as well as opportunities and driving forces for development. In the face of this new situation and these new changes, many have expressed concerns as to whether China would fall into the “middle-income trap” the way other countries with similar growth experiences have. If the answer is negative, where should it turn for new breakthroughs and new leap forwards? 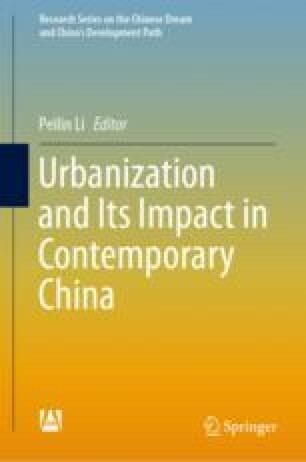 The Chinese expressions “城市化”, “都市化” and “城镇化” are all equivalent to the English word “urbanization”. In Japan, as well as in the regions of Taiwan and Hong Kong, the expression “都市化” is commonly used. In China official state-issued documents are presently consistent in their use of the expression “城镇化”. However, in the Chinese academic filed, published articles mostly employ the expression “城市化”. In fact, “城市化” and “城镇化” are basically synonyms. The reason why the government uses the expression “城镇化” consistently is to stress the coordinated development of large cities, medium size cities and small cities as well as towns.